Development of street-worthy power parts for the Gen I Chevy small-block is rather slow during this LS-centric performance era. However, the new DHC 175 cylinder head from Trick Flow Specialties is a unique fusion of desirable vintage appearance and advanced airflow management that should appeal to the classic-car enthusiast running the original SBC architecture. Based on the iconic “double-hump” or “camel-back” (fuelie) cylinder heads of the ‘60s and early ‘70s—including the famed 461 Fuelie heads—the DHC 175 castings are modern aluminum versions with straight spark-plug locations and improved 60cc combustion chambers. The small cross-section intake runners measure 175cc, and will flow nearly 260 cfm at .500-inch lift out of the box. The exhaust ports are cast at 74cc, and flow almost 200 cfm at .500-inch lift. All of these performance numbers are an improvement over the factory originals. Here’s a CAD representation of the Trick Flow DHC 175 head, showing the exhaust side. Engineers developed the head with a straight plug configuration and maintained the factory port and bolt locations. The DHC heads are a different option for musclecar owners or street-rodders who prefer the appearance of the classic small-block heads, but can’t find double-hump (fuelie) survivors that haven’t cracked, and still have decks thick enough for modern performance tricks. 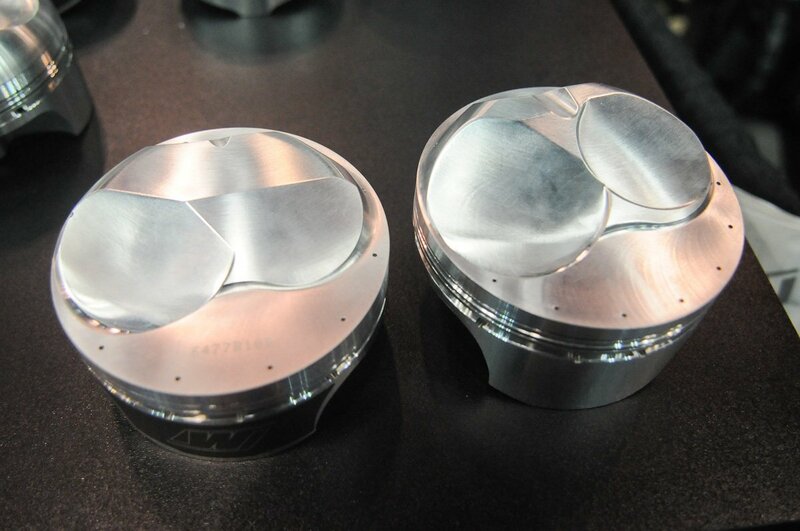 While there are aftermarket replacement heads for the SBC that offer improved performance, none have the familiar humps that were machined on the ends of the original heads. Retaining the factory appearance while improving performance was the motivation behind development of the DHC 175 heads. A Trick Flow executive owned a ’68 Camaro, and wanted a set of the company’s heads to look like a Fuelie head. Here’s the production DHC head. Note the parting line in the casting that mimics an original head. Here is a closeup of the exhaust ports and a cutaway showing the exhaust flow. That shop project was a few years ago. “So, we decided to actually design a head that looked more like the stock head than what we had done,” adds Roth. Here is a clean 462 head, which superseded the original 461 casting. Many of the surviving heads from the ’60s have very thin decks from two or three passes on the surfacer. 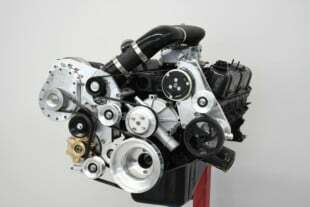 As noted in an earlier article, the double-hump fuelie heads were introduced on the 1962 Corvette 327ci engine that featured the mechanical Rochester fuel-injection system—hence the “Fuelie” reference. Although not all double-hump heads were on fuel-injected engines, many bench racers categorize all camel-back heads as Fuelies. A wide range of casting numbers are associated with double-hump heads. The original Fuelie head was #3782461, commonly known as the 461 head. It was originally produced for the 327ci engine, then superseded by 3890462 and 3891462 castings—better known as the 462 head. There are at least six castings that use 462 as the last three digits of a casting number. Other popular castings include the 291 (3917291), 292 (3917292), 186 (3927186), 187 (2927187), 414 (3973414) and 492 (3991492). The 492 was the last of the double-hump heads. It was standard equipment on the 350ci LT1 engine produced in the early ‘70s. Perhaps the factory double-hump head closest to the new Trick Flow offering was the 461x non-production race head. It came with 172cc runners and a larger combustion chamber. Here’s the intake side of the DHC 175 head. While all double-hump heads were cast iron, Trick Flow chose to engineer the new head in A356-T61 aluminum, as the company has no experience with iron castings. “And, it’s 20 pounds lighter than a factory head,” says Roth. Here is a closeup of the intake port. Since it was the team’s first straight-plug head, they started with some simple observations in the beginning of the development. “We studied heads from the production years to learn about accessory bolt holes and other features,” says Roth. The first double-hump heads had no accessory holes, because the brackets were mounted to the block or water pump. Later models were designed for use with accessory brackets that mount to the heads. Trick Flow offers the DHC head in both styles. 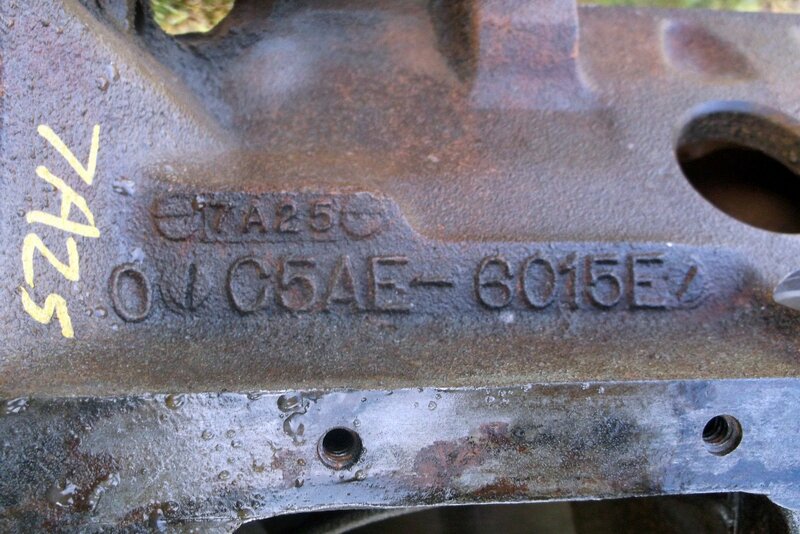 Actually, there are four part numbers for this cylinder head. 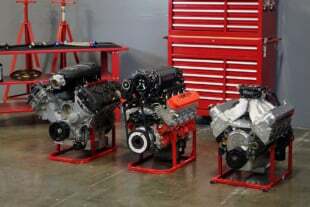 They are differentiated by the bolt holes and a choice between 1.470-inch single valve springs or 1.460-inch dual valve springs. More on that choice later. This cutaway shows the thick deck material and coolant capacity. The DHC heads are available with or without accessory bolt holes. The intake port location is stock, so traditional manifolds will bolt up with no problem with a Fel-Pro 1256 gasket. Port dimension is listed as 1.230 x 1.990-inch. Bench testing by Trick Flow reveals 258 cfm at .500-inch lift with a slight drop to 254 cfm at .600-inch lift. That’s flowing through a 2.02-inch intake valve. 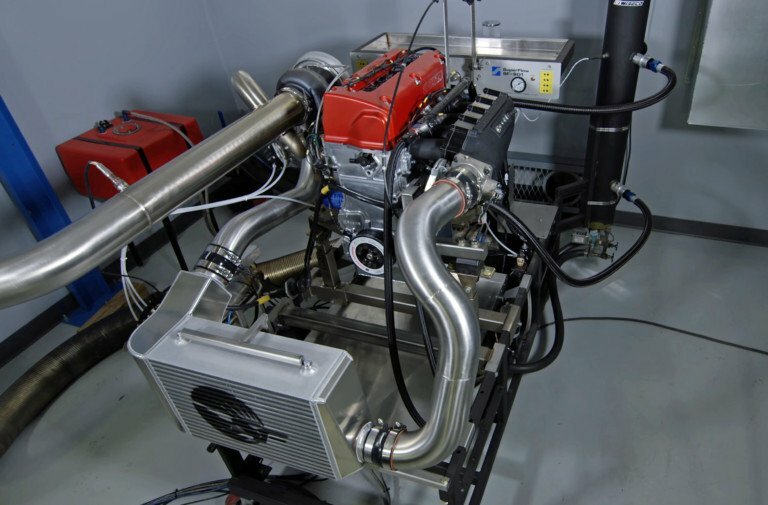 The relatively small cross-section intake runner dimensions should promote low-rpm torque and off-idle throttle response for more enjoyable street performance with a small-block engine. 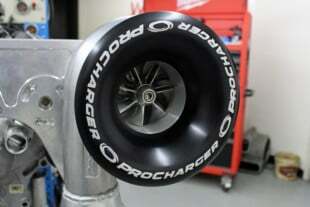 The exhaust side features a 1.600-inch valve, and the port volume is 74cc. The outlet dimension is 1.240 x 1.240-inch, and is in the stock location to match a Fel-Pro 1404 gasket. According to Trick Flow tests, the exhaust port flows 198 cfm at .500-inch lift and 207 cfm at .600-inch lift. All airflow tests were conducted at 28 inches of water, and with a 4.030-inch bore fixture. Exhaust pipe was 1.75-inch diameter. Trick Flow retained the stock 23-degree valve angle location, so the heads will work with standard SBC pistons. The heads come with ductile iron valve seats, bronze alloy valve guides, and Viton seals. Valve angle on the seats is 45 degrees, and customers have two valve springs choices. 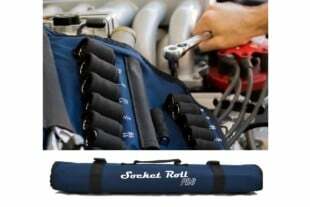 First is a 1.470-inch single valve springs with 118 pound seat pressure and 300-pound open. Recommended max valve lift is .540-inch. The next option is a 1.460-inch dual valve springs with 125 pound seat pressure and 376-pound open. Recommended max valve lift is .600-inch. Both valves have 11/32-inch stems and come with chromoly retainers and 7-degree locks. “It’s a current spring package we’ve proven on other applications,” notes Roth. Shown is a comparison of the combustion chambers in the DHC 175 head (left) and an original 462 head (right). The stock head appears to be equipped with 1.940/1.500-inch valves, which gives the impression they're less shrouded than the Trick Flow head. Also, the stock head has a flatter surface around the top of the valve job while there is more of a transition from the valve job to the edges of the combustion chamber, again lending to the appearance of less shrouding on the older head. Roth says at lower valve lifts, the combustion chamber has to be closer to the valve to support the incoming air. The straight plug was retained for the visual aspect, but the casting design allows Trick Flow to machine the head for an angled plug, if desired, without interference to the water jacket. Due to the valve size, Trick Flow recommends a minimum bore size of 4.000-inch. The heads come with 5/16-inch guide plates and 3/8-inch rocker arm studs. The heads will work with 1.5:1 or 1.6:1 rocker arms. Longer than stock pushrods are required. When matched side-by-side, the DHC head will have a taller profile than its factory counterpart. 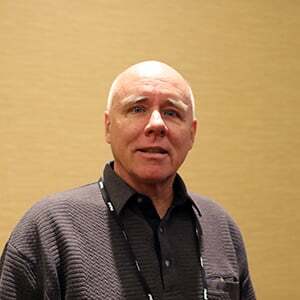 “To get those ports and use existing valvetrain geometries, our valve-cover rail is raised about 3/8-inch,” says Roth. “We wanted the original Corvette and other cast and stamped valve covers to fit. So, we wanted to make sure our valvetrain fits under those covers. If you’re running factory air conditioning, some brackets might run into interference. The 60cc combustion chamber is CNC profiled to support the valve sizes and spark-plug location, in addition to improving burn efficiency. Closeup of the DHC 175 60cc combustion chamber. Note the 2.20/160-inch valves. 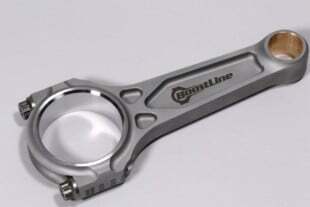 Trick Flow recommends a cylinder bore of at least 4.000-inch. The spark-plug location was especially challenging. Roth’s team had to test fit numerous sets of headers to ensure proper clearance in various applications. And the head architecture itself presented challenges in positioning the spark plug. Another view of the DHC 175 head. Painted Chevy Orange, or any other preferred engine color, should give the DHC cylinder heads a vintage appearance. The cast surface texture appears original, except for the cast-iron gray hue. “We even have a cast parting line like the original heads,” says Roth. 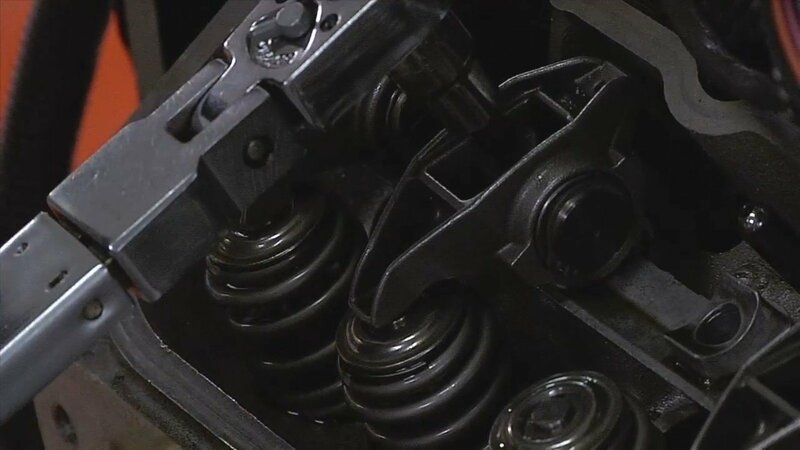 The DHC 175 heads sell with a street price of just under $741 per assembled head with the dual valve springs and just under $671 with the single spring. That means the heads are an affordable option to those wanting the vintage look of a great small-block head for their ride.